MUSLIM SUDAN CALLS FOR JIHAD AGAINST NEWLY FOUNDED STATE OF SOUTHERN SUDAN…….. – The Tundra Tabloids……. MUSLIM SUDAN CALLS FOR JIHAD AGAINST NEWLY FOUNDED STATE OF SOUTHERN SUDAN…….. The Muslim North Sudanese will never forgive the Southern Sudanese for ditching both the Sudan as a whole, and their rejection of dhimmitude under Muslim rule. The icing on the cake was the South’s new president traveling to Israel, and setting up its embassy in Jerusalem no less, the only state in the world that has done so. The South Sudanese government is deserving of all our help. 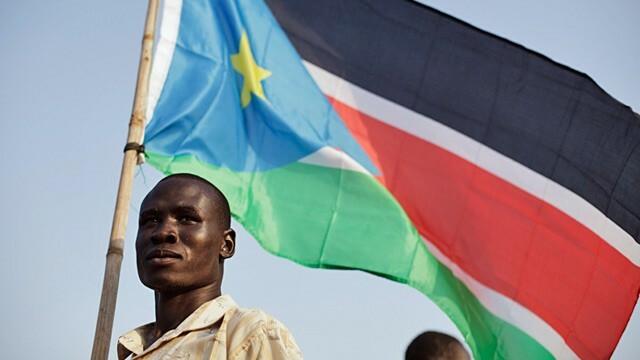 Long live South Sudan! Sudan declares war on South Sudan: Will this draw in East Africa, and China? Less than a year after South Sudan gained its official independence, the new country is at war with its rival, Sudan. Although relations between the two countries started out well, hostilities had been brewing almost from the very beginning, over how the two countries would share revenues from the sale of oil – most of which is now within South Sudan’s territory, and all of which must be transported through Sudan’s oil pipelines to foreign markets. The final spark, though, appears to have been over the borders between the two countries. South Sudan had long banked on receiving the Abyei region, including the oil fields nearby at Heglig. Last week, South Sudanese troops took Heglig by force, prompting Sudanese President Omar al-Bashir to proclaim a state of war. While there is no formal declaration of war, Bashir told troops at a rally that they would be marching to Juba, South Sudan’s capital. Previous Post Previous Post HOW THE ISM SUCKER PUNCHED THE IDF……. Next Post Next Post FORMER OBAMA ADVISER MARXIST VAN JONES LIES AND TWISTS THE FACTS ONCE AGAIN……..